Start your Alliance Windshield Replacement Claim Online Today! The online Alliance windshield replacement claim process is available 24 hours a day and seven days a week. That means that you can start your Alliance windshield replacement claim any time of the day or night. Once filed online, one of our knowledgeable auto glass replacement specialists will contact you quickly to help you finish the claim process. The claim process is easy and fairly quick. It will only take about 15 minutes of your time. Glas Tek will help you answer all of your questions before filing the claim to make sure that your are comfortable during the call. There are several standard question that will be asked during the call that you want to be prepared for before we make the call for you. Please have your policy number and date damage occurred to vehicle ready. Once information is provided, Alliance will be able to verify coverage, inform you that Glas Tek is one of their preferred auto glass shops, and will give us a referral number which allows us to bill them directly when the job is completed. There are many benefits to having Glas Tek perform your Alliance windshield replacement. Besides a quality and guaranteed windshield replacement, another main perk is the monetary benefit. Glas Tek offers up to $150 Cash Back to customers that use them for their Alliance windshield replacements. 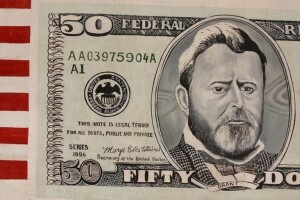 The up to $150 Cash Back is given directly to you at the time of service. That’s enough reason to choose Glas Tek, but it is not the only reason. Glas Tek specialists truly care about providing you with friendly customer service and precise handling of your Alliance windshield replacement installation. From the moment the first person takes the call, to the moment your windshield is installed, the Glas Tek experts are right by your side to provide you with top-notch repair service. The auto glass technicians are trained and certified to provide you with fast and efficient service. They know how important it is for you to get your vehicle up and running so that you can continue making a living and enjoying the rest your life. Another reason that you will want to have Glas Tek perform the work on your vehicle is the nationwide lifetime warranty. You can rest assured that the company will fix any problems that you have with the new glass or the workmanship. In fact, the specialists are so sure that you will not have any issues that it provides a lifetime warranty on the work. The goal is to restore your windshield to its per-accident luster and strength. The experts at Glas Tek strive to get everything right the very first time they visit you on-site. Success is the word when it comes to getting your windshield replaced through this provider. Glas Tek perform Alliance windshield chip repairs when replacement is not necessary. If the break on your windshield is less than the size of a credit card then in most cases it could be repaired. Visit our windshield chip repair process page to learn how a windshield chip repair is performed or visit our windshield repair FAQ’s page for additional information. Windshield chip repairs are fast and keep the factory windshield seal. However, windshield chip repairs do not fully disappear when complete. Typically, the impact area will clear 60-80% but it all depends on factors such as size, shape, location and time it has been on the windshield. 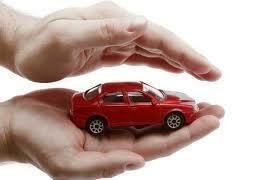 Alliance insurance will waive your comprehensive deductible for windshield chip repairs. Therefore, if you carry a $500 deductible your windshield chip repair will still be free. Start your Alliance windshield chip repair online today! Alliance windshield replacement and repair claims are fast, easy, guaranteed, profitable, and we come directly to you! 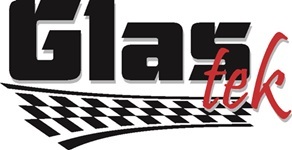 Please call Glas Tek directly or start your Alliance auto glass replacement claim online today. Glas Tek is licensed, insured, and a A+ member of the better business bureau. In addition, they are a small business that relies and are appreciative of all business given to them.